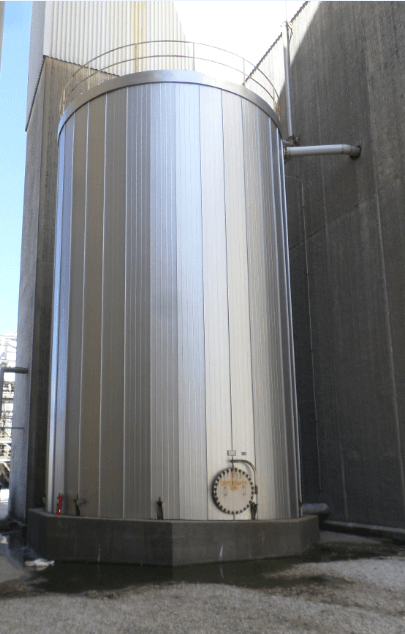 The tank was utilized to hold corn for the wet-milling process. In the corn wet-milling process the kernel is separated into its component parts, and those parts are further subdivided and refined. 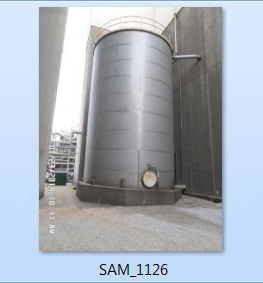 The tank was a 22’ diameter x 36’ high welded tank. The project was completed in April 2015. While dealing with uncontrollable spring weather conditions and tight accessibility, the crew was able to complete the job on schedule. The RIDGLOK® Insulated Panel System consisted of 0.024 stucco-embossed aluminum metal jacketing, in Grey, laminated to 1.5” polyisocyanurate insulation board with an R-value of 9.6 using an external rafter roof system. RIDGLOK® insulation systems REDUCE temperature differences to help CONTROL condensation for IMPROVED process control. 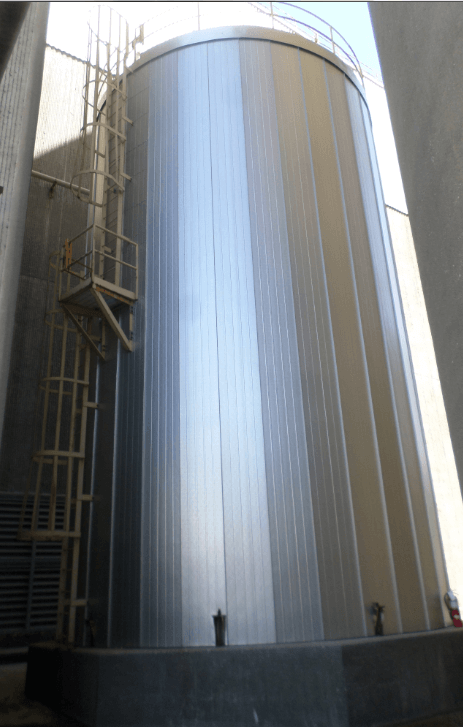 Insulation of storage tanks REDUCES routine maintenance and PREVENTS energy waste and LOWERS fuel costs.